with helpful advice from Mrs. Susan Rettew. 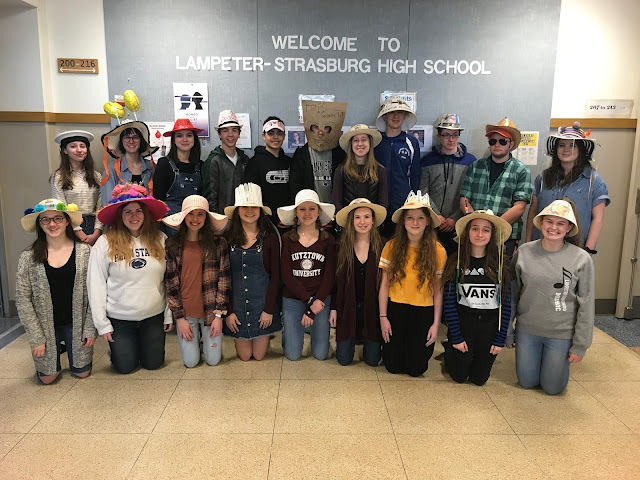 At the Lampeter-Strasburg tennis courts on Friday, a three and a half hour duel between Lancaster Country Day and L-S ended in a 4-3 victory for the Pioneers. This was in sharp contrast to L-S crushing Penn Manor 7-0 on Wednesday. An early doubles win came from the duo of Izzy Mazaheri and Erin Harnish, helping put L-S on the board. 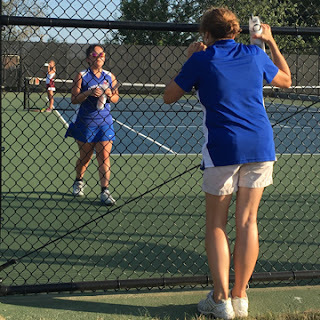 Sarah Capoferri and Larson Kessler delivered clutch singles wins despite the relentless heat. Lauren Rettew, after a long and exciting couple of sets, was able defeat her opponent and give L-S its much-deserved win over Country Day. This was a difficult match for the home team, and the final score reflects that. The rivals appeared evenly paired during the opening doubles matches, but most of the singles matches were a different story. However, Rettew’s was the grand finale. The slow, consistent styles of both her and her opponent made for both a long and exciting match that had the entire bench on the edge of their seats. The sets ended at 6-4 and 6-3. L-S hopes to carry this positive momentum into their away match at Pequea Valley on Monday.